Life in these polarized days seems polarized. Us versus them, haves versus have nots, liberal versus conservative, believers versus skeptics, things all seem to have split into stark choices. Audio has these lines as well; analog versus digital, tube versus solid state, revealing versus musical, to name a few. Listening to the Omnis these dichotomies spring to mind. ZMF Headphones are the baby of Zach Mehrbach. He takes the Fostex t50rp, and modifies it significantly. The line now consists of the Vibrio MkII, the Blackwood, and the most recent addition, the TOTL Omni. The other two are closed cans, the Omni is semi open. It is quite customizable: you get options for cable length, termination, ear pads, headband padding, slider powder coat color, and the (decorative) coin color. You choose from different woods for the cups, cherry, walnut, blackwood, bocote and padauk. There are cable upgrades, including DHC OCC braided cable, and, if you specify tuning preferences for the Omni, Zach will provide them. I’ve also read that you can return the Omni to Zach if you want the sound tweaked and he will do it for you. That is amazing service! (for an extra fee, he’ll rub your back…kidding, I’m kidding). I received the Omni in the optional Seahorse case, which is a foam lined plastic case. Included is a “Certificate of Authenticity” which details the options on your Omni. This is a very nice touch; it feels personally created for you (which it is). Mine came with Black limba cups, black sliders, black coins, and ZMF earpads. Unbeknownst to me (at least initially), there was a felt bag with the DHC OCC braided cable (balanced), and the stock cable as well. The headphones look gorgeous. The wood work is impeccable, having lovely looking grain, with perfect lacquer and 5 openings slit in the back to make them semi open. The frame is nicely done as well, and the optional cushion/cover for the frame helps make the cans rest more comfortably on the noggin. The first issue in using headphones is comfort. Now, these are not light cans. They rest heavy on the head, and clamp pretty tightly over the ears. Comfort is of course an individual thing, but my shiny noggin feels the weight, the pads are warm, and the clamping force is stronger than I like. My Hifiman HE-560, for instance, is much lighter and disappears on my head. But, the sound is the main issue, no? This is where the duality comes in. They recall the audiophile arguments pitting accuracy versus musicality. These definitely fall into the musicality camp. I don’t think that’s a liability, unless playing track after track, unable to stop because it’s too much fun is a bad thing. These things ROCK, literally and figuratively. They grab your attention, and keep it. Do they detail? Do they give a good sense of the performance venue? Sure, but there are other headphones that outperform them in these areas. But, they have GREAT bass presentation, slightly boosted, but it doesn’t bleed into the midrange. The highs are there, but I’d say a bit rolled off compared to some I’ve listened to. When I first got into headphones, everyone was into open cans. I specifically remember the Audio Technica AD-900x which was being raved about on HeadFi.org. I, at the time, felt that while you gained openness and wide staging with open headphones, you lost some immediacy, bass, tone color, which was more important to me (I went for the A-900x). Over time I fell in line, got Senn 650’s, Hifiman HE-560’s and HE-1000, and came to like that open sound, but I always realized there were tradeoffs. Being semi open, ZMF gets some of the best of both worlds. This brings up another audiophile duality, resonance control. Some manufacturers (speakers, turntables, headphones), believe in minimizing vibrations (to the extent that some speakers have concrete baffles). Others (Zach is in this school), think of the transducers as being analogous to musical instruments, and having the RIGHT vibrations adds to the musical presentation (Brian Wilson knew this too). Woodies work this way, and the ZMF site lays out how the different woods differ in sound. The wood used in a guitar or violin is essential in the ultimate sound produced, and the fine woods in the Omni contribute to the musicality they offer. My gear for this review consisted of: PC/JRiver21/LH Labs 2G USB/Regen/MicroZOTL2 (I did use the Cavalli Liquid Carbon a bit to go balanced, but went back to the ZOTL quickly because I like it better, both in involvement and in detail retrieval). Some specific examples are in order. My nomination for “The Best Song Ever Written”, Jonathan Coulton’s “Re: Your Brains” (Thing a Week Two, ripped to WAV), is a killer, and the presentation captures his voice, with a close up perspective, powerful bass, cool guitar detail, with a soundstage that is not as wide as some, but has good depth. You can FEEL the Zombies at your door! Next I went to a great jazz cover of Dylan’s chestnut, “All I Really Want To Do” (16/44 rip from New Codeby the Peggy Lee Band), which has great counterpoint in the instrumental lines, arpeggiating guitar, and it is very easy to separate all these threads, without having them thrust at you. The trombones plaintive tone, and the percussive edge of the guitars, are well reproduced, as well as the climax where the lines begin to explode against one another; the Omni untangles the dense musical information. I pulled out All Time Low’s “Somewhere In Neverland” (Don’t Panic, 164/44 cd rip), which was very mid focused, with the lead and harmony vocals easy to separate, and pretty guitar arpeggios. With lesser gear, you don’t hear this, or the bass, they become a sonic mush. With the Omnis, bass is definitely strong and tuneful. The guitar arpeggios are present, but not as clearly as with some other headphones,though one could argue more like how it might sound in concert. Time to change pace a bit…”Chusen Kaleh Mazel Tov”, from Steve Bernstein’s fabulous, klezmer/latin/jazz hybrid (Diaspora Soul 16/44 m4a rip) has his trumpet tearing it up, percussion to give your booty convulsions, and greasy organ, which is all captured just right by the Omni, and the ZOTL/Omni combo, while not the ultimate in the wide stage and air between players , captures the INTERACTIONS between the players. Man, don’t you want to feel the heat between the sax and trumpeter more than how many feet to the left of trumpeter the sax is located? And, the track actually does give a very good sense of space, width, depth, though not as good as some fully open cans (some comparisons to come). I believe the Omni does editorializing. I put on a live Richard and Linda Thompson concert, “You’re Gonna Need Somebody” (16/44 flac, Live at the Aurora Theater, Baltimore, Maryland May 13, 1982). Now, if you’ve ever trolled the internet and downloaded a concert, you know they are often not of pristine sound, and this one is no exception. It has edgy, penetrating highs, and is difficult to listen to at length on much gear (it sounds recorded off the board). While the sharp highs aren’t completely ameliorated, I had to play this concert from the initial American tour of one of my favorite bands EVER to the end. Hearing Richard and Linda center stage sounding as if they were in front of me, with the crack band and Richard’s incendiary guitar left me with a stupid grin on my face (the immediacy of live recordings, flaws and all, is the appeal of them as well, no multi-tracking, layering, or studio tricks). So, I do believe the Omni does sometimes tell little white lies, but, I ask you, do you always want to hear absolute truth? I have a Norne, balanced to single ended adaptor , so I was able to use the upgraded cable and compare it to the stock cable on the single ended MicroZOTL2. I felt the stock cable did have a slight “muffling” effect, a slight dulling of details. This didn’t disappear completely with the upgraded cable, but it ameliorated it considerably. On Kacey Musgraves “My House” (Same Trailer, Different Park, WAV rip from cd) there is certainly an audible difference, with the upgraded cable widening the soundstage, improving silence in the space between instruments, and Kacey’s voice (and the harmony voice) get a bit more clarity, and realistic presence. Next I went to Joni Mitchell’s first hint that jazz was where it was at (for her), “Free Man In Paris” (Court and Spark, 16/44 m4a cd rip), a track that’s really dense with musical information, and again, the upgraded cable brings the sound up a notch. Specifically, clarity increases, space is more like space, bass is tighter, and the presentation relaxes a bit. Not to go overboard, my initial positive impressions WERE using the stock cable, but, at the price of the headphones, and the relatively low price for the cable (compared to many aftermarket cables out there), I’d say, go for it. The competitive headphone I have is the Hifiman HE-560, so how do they compare? (Glad you asked…). Again, I find the 560 way more comfortable. They’re lighter, and, after using the Omni, it feels like nothing is on my head. That said, comparing them on Sonny Rollins “Wonderful Wonderful” (Newk’s Time, 24/192 download), the 560 is, first, harder to drive, had to turn the volume up some. It’s perspective is more close up, presents less depth, more apparent detail but less tone color, less of that “grab you” the Omni excels at. Bass is a bit tighter, but less in amount, drive and bounce. And, overall, there is a slight harshness to the 560. Some pop fer’ ya…Daft Punk “Get Lucky”, (Random Access Memories, 24/88 download), sounds nice on the 560 all right. But, then went to the Omni, and the bass has more energy, is more round and textured. You lose the tizzy treble of the 560, and gain in rich vocals. I’d say cymbals are a bit more real on the 560 (but a bit aggressive), stage width is a bit better. Detail is very slightly clearer on the 560. The Omni was more fun to listen to, though. Since I had a Pono adaptor, I listened to some music with the Omni through the balanced Pono DAP. While I’m not putting the ZOTL up for sale, the Pono/Omni balanced combo did work quite well. “King Harvest Must Surely Come” (The Band, 16/44 MFSL rip), was great sounding, with Robbie Robertson’s guitar work having appropriate snap, and Garth Hudson’s organ swells sounding rich indeed. That got me “Stuck Inside of Mobile With the Memphis Blues Again” (Bob Dylan, Blonde on Blonde, 24/96 download), with Dylan’s rich, textured (love it or hate it) voice right there, and amazing accompaniment from Al Cooper (organ) and Mike Bloomfield (guitar). All Time Low’s “Somewhere In Neverland” again loses some depth, , maybe a tiny bit of detail, but the bass is strong, the guitar and vocal details are all there, and it’s hard to sit still while it’s on (nice thing about a Pono, if you want to dance, it’s easy, just throw it in your pocket). It’s flatter than the ZOTL rig, more close up “in your face”, but the detail is there, the drive, and I’d say this would be pretty close to end game for many folks. So, think I liked the Omni? Maybe I’ve been a bit subtle. It is a bit more expensive than the HE-560, but, to go back to the original dualities, it’s a fine tube presentation versus a dry solid state presentation (to stretch an analogy). 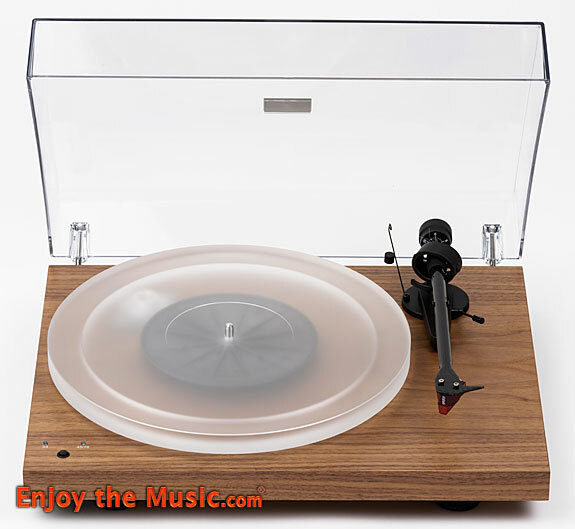 The 560 may be more of a tool for an engineer; the Omni is more of a tool for the music lover. While I haven’t heard all the contenders in this very competitive price range, I have to say I really enjoyed my time with the Omni’s, and I can recommend them without hesitation. Professionally, I’m a practicing pediatrician. I’ve been a musical omnivore and a music junkie all my life, an audiophile for about 30 years, and the search for something to block out the gosh-awful sounds of the lawn mower lead me on a headphone odyssey that I continue on today, the search for the perfect headphone set up. I’ve reviewed for The Audiophile Voice, and posted too frequently on Head Fi as Doctorjazz.